[gallery columns="1" type="slideshow" ids=",1419,1417,1418,1415,1416"] Summer is the perfect month for a trip to Lisbon or just about anywhere in Portugal. There are many facets of this charming city, but predictable it is not. The best way to know the city is to let your feet and heart wander, up the knolls, into meandering alleys, peeping into the little boutiques now and then, and taking a breather at the various miradors during sunrise, sunset, and even at night. ViTRINE highlights our 4 favourite spots, (but that is not all) that we will surely visit again on our next trip. VITRINE recommends: 01 Stay: At the Lisbonaire, typographs & simple design makes this boutique service apartment an endearing rest house 02: Experience: The artisanal charm at Conserveira de Lisboa. 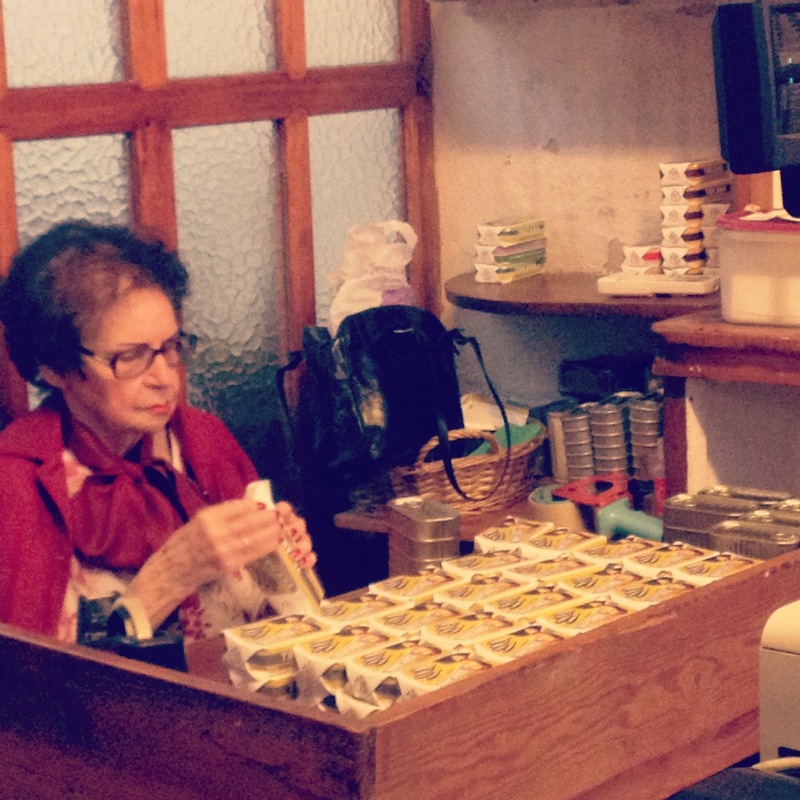 Granny individually handwraps each tinned fish with her delicate manicured hand! 03. Fuel Up: A simple cheese sandwich and a glass of melon juice at Pois Café, in sleepy and mystical Alfama 04: Shop: At A Vida Portoguesa, you may find an amazing range of artisanal products from homeware, food products (even flour! ), and coveted Ach. Brito soaps! 05. Wander up the narrow streets in Alfama, discover vibrant street art along your journey to the next miradour that awaits to take your breathe away.